i thought i posted this a;ready but i dont se it on the board. what acrobatic tricks is a lazair capable of beside a loop and roll? i cant find any videos of acro in one but i heard a few people (ex UL dealer) talking about some amazing tricks that they have seen done in a lazair (a long time ago). anybody have a video link or some info on it? i know they ont spin. For us humans that value our lives we might do a wingover/chandelle and perhaps a stall as far as aerobatics go.....groundloops may also be considered aerobatics in a Lazair but ussually results in some rebuilding time as a reward. Since the Lazair is stressed to +4 and -2 G's on a great day, any kind of manuevers upside down negative g is almost sure to fold your wings up, unless you are an aerobatic glider pilot that knows how to keep the positive g's at all times, even without sufficient power. Loops are risky, and rolls are even more risky......you might be able to get away with a spin if you can make it happen. Any aerobatics in a Lazair are ill advised and end up costing you plenty for rebuilds, and perhaps even your life. Just say NO to aerobatics in a Lazair so you can live to fly another day. In order to do acrobatics, the first thing that you will need is to get yourself a set of tights. Most of the time the tumbling acts of acrobatics are performed under a big tent with three rings in it. Aerobatics are something completely different and just are not for the Lazair. 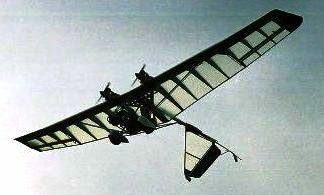 Aerobatics.... not the best idea in a standard ultralight or a standard lazair. That being said... I have done hundreds of loops and wingovers... with a parachute on board... with a g-meter reading less than 3g's. Entry speed and careful use of the stick. Cessnas 172's can be looped, so can airliners... but it just isn't a no risk thing to do for most people. There are so many good planes that are built stronger for doing aerobatics in. I'm think you're mixing up the lazair wht the laser/lazer designed by aerobatic great Leo Laudenschlager. That plane is VERY aerobatic, and the basis of most modern unlimited aerobatic planes- Extra, Staudacher, Panzl, Edge etc. Do any of you have any info about registering a lazair in the experimental cat in the US? Lazair as experimental...sure, why not? Make sure you visit your local EAA chapter for advise and contacts. Then be sure you know about all the inspections required during different phases of construction, where you FAA inspector has to check your work. In the end you will still have a Lazair, but with an airworthyness certificate from the FAA, and the government will be looking for you to pay taxes on your now registered aircraft. If you have one thats already built, your out of luck...they need to see evidence that you built at least 51% of the aircraft yourself....and want to see it in person during the inspections as building progresses. Why would you want to register it? I dont think it gets you anything extra unless your local airport does not allow Ultralights and hence by N Numbering it you escape that category, in principle at least. I actually have been told that very thing.....if I had an N numbered aircraft the airport owner would allow me to fly from there.....but I'll bet if I had done that with the Lazair he would have found another reason to not let an "Ultralight" fly from here. As an experimental aircraft, you would require a multi engine rating to fly it. That could be a wrinkle. But for someone looking to build multi engine time in their log book, there is no possible way to do it cheaper than with a Lazair. One of the few true advantages for registering as an experimental is the ability to count all time in your Pilot's logbook. If you have a photo record of the construction, or reconstruction, you might be able to register it as such with a pre cover inspection. Probably a whole lot more trouble than it's worth for most people.